I have a 1998 LP Special Made at the Nashville Plant. It has two soap bar pickups. I was wondering if anyone could tell me what pickups were put in these guitars? P100's, P90s, or something else? I had a Black 98 Special. P-100s. MAN I should have kept that guitar. Thanks rct! I appreciate the feedback. Let me throw this out to everyone. IF you had a 98 Special would you keep the p100s or replace them with something else? I know much of this is preference, but I would love feedback from people who have been down this road. 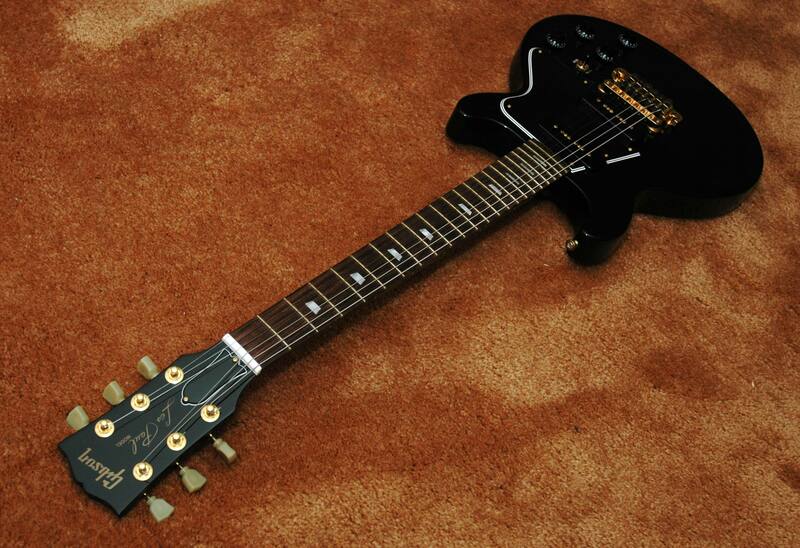 Is this a 98 Les Paul Special Single Cut? Is it a Faded model? I would keep it stock but that is my personal preference. Single Cutaway, black pickguard. It is forest green that has some gloss to it... to be honest, I am not sure if it qualifies as a faded but with the flat top (no carved top) and rather glossy finish, I don't think so. Not sure when they started making the Faded series. The guitar does not have a bolt-on neck. Thanks again for taking the time to respond to my post. I appreciate the feedback! Thanks for taking the time to respond to my post. 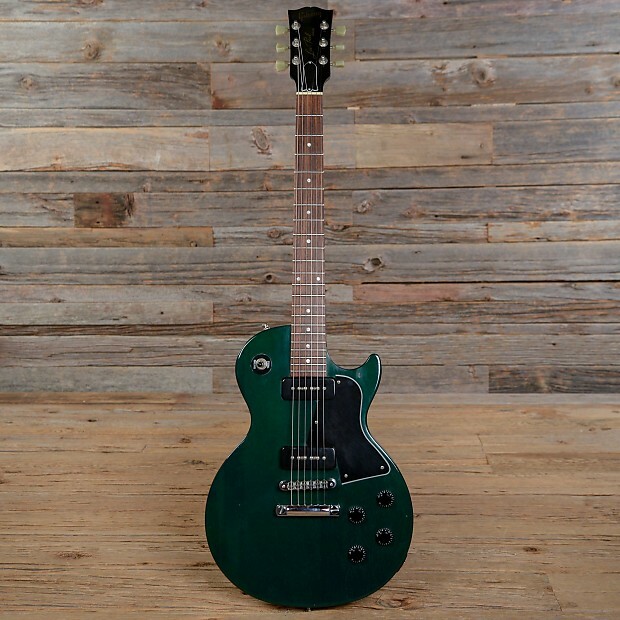 The information on the web report that the Green 1998 Gibson Les Special's stock pickups are P-100's..
Reverb has had a lot of them in the past listed as Les Paul Special ranging from $800 to $1400 depending on condition. 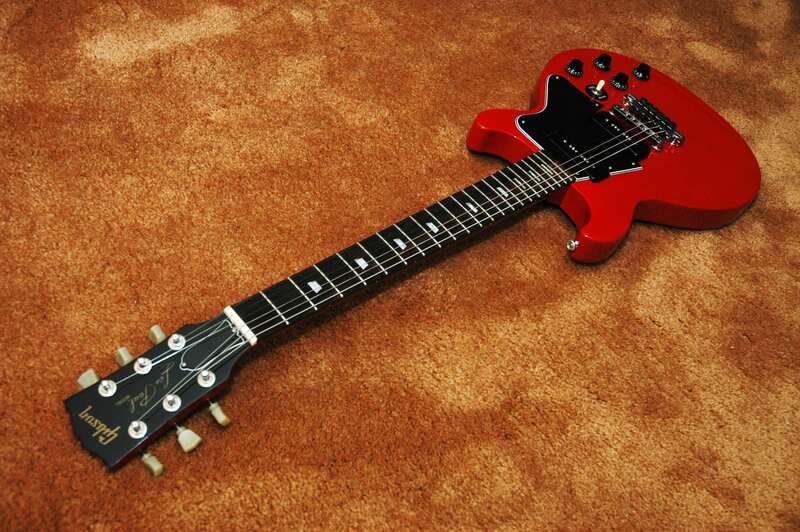 The faded cherry or black versions go for less about $400 to $800. wow! thanks so much for all the info. I appreciate your helpful and timely responses. P-100's are nice pickups, IMHO. I have 2 guitars with them...both Gibson LP "Junior lite's." One Red ("Cinnamon") and one Gloss Black. want, out of them! So...??? To each his/her own. Thanks for offering some insight into the differences between these two PUs. Thanks also for sharing the pics. Like the gold hardware on that Black one. Very nice. Thanks, guys! They're fun guitars, in many ways.